This is Part Seven of a BuzzFeed News investigation. FBI spokesperson Andrew Ames declined to confirm or deny the existence of the report and would not comment for this story. Steele's business partner, Chris Burrows, declined to comment on behalf of Steele and their company, Orbis Business Intelligence. Steele’s report — the existence of which has never before been made public — adds to a mounting body of evidence that casts doubt on the official finding on Lesin’s death. The new revelations come as concerns about Russia’s meddling in the West have intensified to a pitch not seen since the Cold War. Both the UK and the US have blamed the Kremlin for poisoning former Russian spy Sergei Skripal and his daughter in England this month, using a rare nerve agent that endangered bystanders. (Russia has denied it was behind the poisoning.) In the wake of that attack, the British government has opened a review of all 14 suspicious deaths linked to Russia that a BuzzFeed News investigation exposed last year. Lesin arriving at the Dupont Circle Hotel in Washington, DC, on Nov. 4, 2015. The next morning, he would be found dead in his room at the hotel. Now BuzzFeed News has learned that federal prosecutors called witnesses before a grand jury during 2016 to compel them to testify under penalty of perjury about Lesin’s death, and they amassed more than 150 pages of material from the proceedings. The use of a grand jury, not previously reported, was discovered in documents released after BuzzFeed News launched a Freedom of Information Act lawsuit to compel the Justice Department, the FBI, and other agencies to turn over records related to the Lesin investigation. That lawsuit is ongoing. 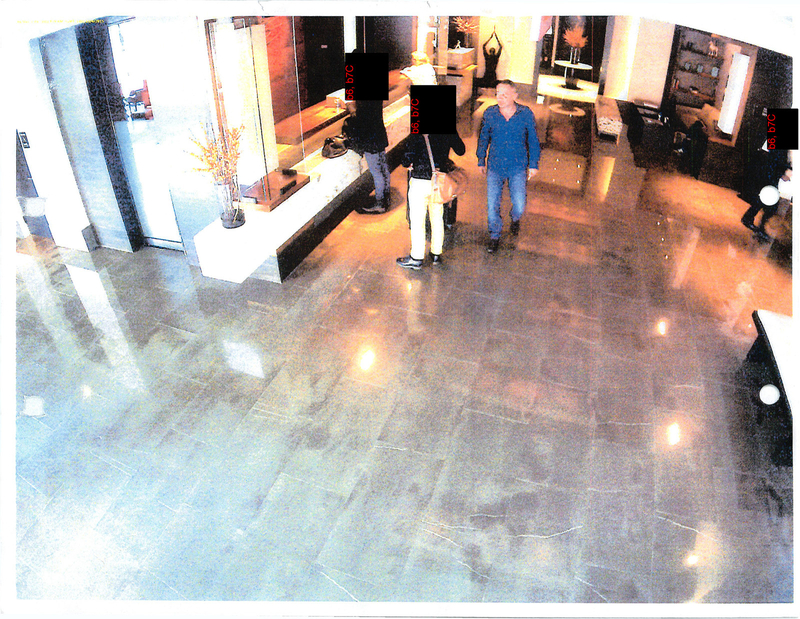 Lesin in the Dupont Circle Hotel in Washington DC on Nov. 4, 2015, the day before he was found dead in his room. Citing grand jury secrecy, two law enforcement officials with direct knowledge of the case declined to say what witnesses were called or describe their testimony. They said that prosecutors used a sitting grand jury, rather than empanelling one specifically for the Lesin case, and that they were investigating the media baron’s death as a homicide. 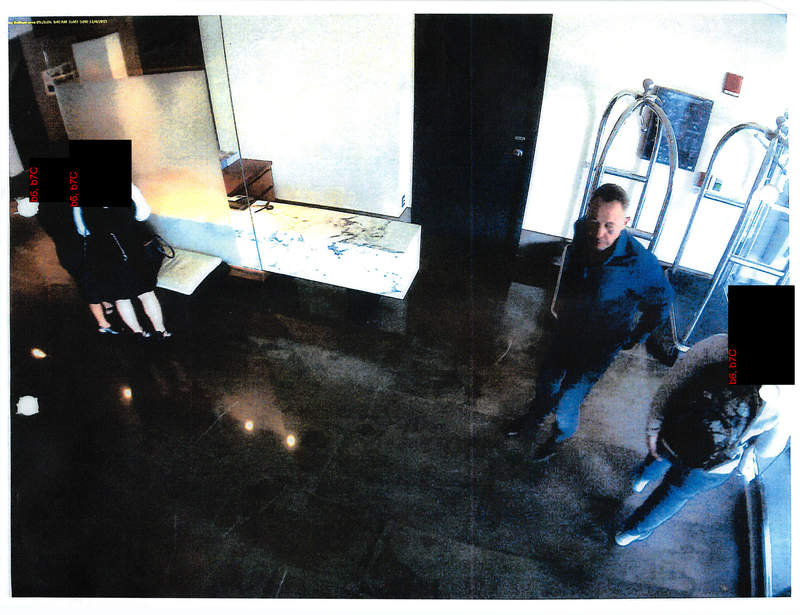 During the investigation, FBI agents reviewing hotel surveillance footage of Lesin were asked to pay particular attention to the back of his head, documents obtained through the FOIA lawsuit show. As with the police files, the FBI documents that have been released say nothing about how Lesin sustained the head injuries that killed him. But, according to those documents, the bureau found no evidence of foul play. Details about Steele’s Lesin report are based on interviews with 11 sources, almost all of whom are current or former FBI agents or US intelligence officials. Two sources said they had read the whole report, while two other sources each said they read about half of it. Seven others said they heard about it from colleagues or had been briefed on it. It’s not surprising that Steele provided his Lesin report to the FBI. The former head of the Russia desk for Britain’s foreign intelligence service served as a longtime source for the FBI and was occasionally paid for his information, some of which has been used in federal criminal cases, according to memos released earlier this year by Democrats and Republicans on the House Intelligence Committee. He also provided more than 100 reports, mostly on Russian affairs, to the State Department, according to a former assistant secretary of state, Jonathan Winer. A fourth person, who is another business associate close to Lesin, told BuzzFeed News that Lesin had a falling out with the oligarch but did not know if the oligarch had any involvement in Lesin’s death. Russian President Vladimir Putin with Lesin in 2002. In the UK, BuzzFeed News exposed 14 suspicious deaths linked to Russia. In each of those cases, US intelligence officials suspected the dead might have been rubbed out by Russia’s security services or mafia groups — two forces that sometimes work in tandem — and they had shared intelligence with their British counterparts “in the context of assassinations.” In at least one case, that of Alexander Perepilichnyy, the US had determined he was likely killed on orders of Putin or his close associates. Yet despite that and other evidence, British authorities stuck by their position that the deaths were due to natural causes, accidents, or suicides, and they refused to reopen the cases — until the poisoning this month of Skripal, the former Russian spy. The attempted murder, using a rare nerve agent produced in Russia, caused an outcry throughout Britain. In response to widespread calls for a full inquiry into all 14 deaths from members of parliament who cited the BuzzFeed News investigation, the government agreed to review each of the cases with the help of Britain’s security service and the police. Lesin (right) confers over documents during a meeting in 2000. In 2005, he founded Russia Today, which he once described as a news channel to counter Western perspectives put out by the likes of CNN and the BBC. Later renamed RT, the state-funded media channel broadcasts in the US on cable and via the internet. Lesin also served as a presidential adviser. “Lesin was not a very nice guy,” one of his business associates said. “He was very smart, and he was a big player in the media. Whatever you wanted to do in the media, you had to go through him.” He was also difficult to work with. “He was a binge alcoholic,” another person who knew him said. “He would go off the rails for a week and you couldn’t find him.” The police files, first reported by the Washington Post, show that Lesin was drinking huge amounts of alcohol for almost three days before his body was found. Lesin’s role in government ended in 2009, but he continued to spend lavishly. “He bought a huge boat and filled it with girls, and his drinking got worse, and all that sort of stuff,” said an associate.